Post-Acute Withdrawal Syndrome (PAWS) occurs after alcohol or drug withdrawal, which presents fewer physical withdrawal symptoms, but is more disruptive to an individual emotionally and psychologically. PAWS occurs as a reaction to the individual’s brain returning to a normal state, which can often take up to two years. Individuals with Post-Acute Withdrawal Syndrome often experience these symptoms in episodes, which last for several days. During these episodes, individuals often struggle to fight the temptations to relapse. However, with the help of a psychologist, individuals suffering from PAWS can better understand the process their bodies are going through, and learn how to practice methods of relaxation and self-care that will smooth the transition back to a normal life. 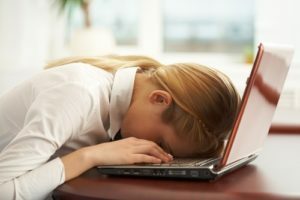 “Get good grades, join sports and clubs, find a part-time job, eat well, and have a social life… but don’t forget to get enough sleep!” These are the unrealistic expectations college students are tired of hearing and trying to achieve. The fact is, 24 hours just isn’t enough time in one day. Stress is a huge underlying factor contributing to depression within college students. 44% of American college students report having some form of mental illness, including depression. However, 75% of these students do not seek help for these problems. Although college life can be hard to handle, there are ways to reduce and manage stress. Practice time management skills: You will get a feeling of control over your life. Find humor in your life: Laughter is the best medicine. Avoid procrastination: It can affect the quality of your mood, work, and sleep. Practice good sleep habits: Sleep deprivation can cause physical and mental problems. Work within your limits: Set realistic expectations for yourself and others. Seek the support of your friends and family: Vent sessions relieve tension and stress. It’s easier said than done to accomplish these “small” tasks. If you believe that you or a loved one has or may have issues with depression, anxiety, or stress, the psychiatrists, psychologists, psychiatric nurse practitioners, social workers, and psychotherapists at Arista Counseling can help you. Contact our Paramus, NJ or Manhattan, NY offices respectively at (201) 368-3700 or (212) 722-1920 to set up an appointment. Imagine waking up on any given day, you’re conscious, but you can’t move a muscle as if you’re paralyzed. If you find yourself unable to speak or move for a few seconds or minutes upon waking up or falling asleep, there is a great chance that you have sleep paralysis. On average, four out of every ten people may have sleep paralysis, and both men and women of any age can have it. Sleep paralysis occurs when a person passes between stages of wakefulness and sleep. This condition occurs one of two times. If it happens as you are falling asleep, it is called hypnagogic or predormital sleep paralysis. If it occurs as you are waking up, it is called hypnopompic or postdormital sleep paralysis. Though it may run in families, factors that may be linked to the condition include lack of sleep, sleep schedule changes, mental conditions such as stress or bipolar disorder, narcolepsy, certain medications, and substance abuse. While being in this state of mind is extremely frightening, there is no need to treat this condition. Sleep paralysis is usually self-treatable and self-diagnosable. Although treatment depends on severity, the main way of treating sleep paralysis is improving your sleeping habits. However, treatment can also include treating any mental health problems that may contribute to sleep paralysis or using antidepressant medication if it is prescribed to help regulate sleep cycles. Sleep paralysis is most commonly found in those who are narcoleptic or have sleep apnea, but unfortunately it can affect anyone. Common symptoms include anxiety, hallucinations, and paralysis. If you feel your symptoms cause anxiety, leave you very tired throughout the day, or keep you up during the night, the psychiatrists, psychologists, psychiatric nurse practitioners, social workers, and psychotherapists at Arista Counseling can help you. Contact our Paramus, NJ or Manhattan, NY offices respectively at (201) 368-3700 or (212) 722-1920 to set up an appointment. Regardless whether you consider yourself a morning person or a night owl, a good night’s rest is extremely important for everyone. With midterms around the corner, students often engage in all nighters to study and completely disregard their body’s need for sleep. When people get seven or less hours of sleep, the effects can be detrimental to both their body and mind. When you are sleep deprived, your overall cognitive abilities become impaired due to your brain becoming exhausted. When people become sleep deprived, they have a lot more difficulty learning new things and both their long and short term memory are negatively affected. A common side effect of sleep deprivation is micro sleep—when a person falls asleep for a few seconds or minutes and does not realize it. Micro sleep is completely out of people’s control if they are sleep deprived, regardless of their caffeine consumption, and can result in life threatening outcomes when driving. If people’s sleep deprivation continues long enough they are at an increased risk of experiencing hallucinations. For those previously suffering from manic depression, sleep deprivation is also known to trigger mania. Other mental risks include depression, paranoia, and even suicidal thoughts. Sleep is also necessary for a person’s immune systems to properly function. When people are sleep deprived their body will become more susceptible to catching viruses, developing respiratory problems, and will take longer to recover from illness. If you are sleep deprived for a long enough time, you are at a higher risk of developing chronic diseases, such as diabetes and cardiovascular diseases. Some studies have found that sleep deprivation is also associated with weight gain, and a higher risk for obesity. So before you decide to pull an all nighter for that exam, remember that your health and safety needs to come first! If you believe that you or a loved one is suffering from chronic sleep deprivation, the psychiatrists, psychologists, psychiatric nurse practitioners or psychotherapists at Arista Counseling can help you. Contact our Bergen County, NJ or Manhattan offices respectively at (201)-368-3700 or (212)-722-1920 to set up an appointment. 1. Slower Thought Process: Sleeping less than the 8 average hours necessary causes lower alertness and concentration, which impairs judgment. Making decisions and judging situations is very prominent and important in the workplace and at home. 2. Impaired Memory: When individuals do not allow their brains to restore during sleep, the nerve connections that are responsible for memories are not strengthened. 3. Difficulty Learning: Slower thought processing and difficulty learning restricts the individual from picking up any new information, which is essential for learning. 4. Problems with Mood: Lack of sleep not only hurts work performance and relationships, it is also capable of leading to problems with mood. Depression and anxiety are linked to poor sleeping habits. If you are concerned that you or a loved one may have trouble sleeping, the licensed professionals at Arista Counseling and Psychotherapy can assist you. Contact our Bergen County, NJ or Manhattan offices of psychologists, psychiatrists, and psychotherapists at (201) 368-3700 or (212) 722-1920 to set up an appointment. Visit http://www.acenterfortherapy.com for more information.